September 7th - Come to the CT Folk Festival and Green Expo! What: A 1-day celebration of music and sustainability! Expect a lot of folk music, workshops, delicious food, unique vendors and plenty of family fun. The CT Folk Festival and Green Expo is dedicated to creating an unforgettable festival experience with an emphasis on sustainability and earth-friendly practices including a zero waste plan and water fill stations. For more information, check out CT Folk online. We Love the CT Green Expo! There are loads of green-themed festivals, expos, fairs, conferences happening all over the state - but our top recommendation goes to the CT Green Expo - by far the state's most robust, authentic and high energy event all year! Kid Kanteen: What a Great Idea! Have you seen Klean Kanteen’s baby bottle? Man, I wish they had these things when my kids were babies. I hadn’t seen it until the other day when I got an ad for it in my in-box. It’s brilliant! No BPA, no phthalates, no toxins, environmentally friendly, and reusable. My girls are 11, 9, and 7 years old, now. I think back to the bottles I used for them. While I breastfed a majority of the time, we supplemented with formula so my husband could feed the girls and I could get a break. It makes me wonder what materials were in those plastic bottles. Hartford, Connecticut – Saturday, October 22nd, 2011 – Live Hartford’s bicycling and parks legacies. Road, mountain, commuter, comfort, hybrid, racing, touring, single speed, hardtail, 3- speed, banana, cargo, whatever you pedal. This is a fun loving urban parks tour - not a race. 10, 15, 25, and 40 mile bike tours will remind some of the routes of the 1990’s Hartford Parks Bike Tour but also feature miles new of riverfront trails and bike lanes. Both guided and self-guided walks feature Hartford’s historic, architectural, and natural attractions, some free and some for free. All routes depart and return to beautiful Bushnell Park in downtown Hartford. Discounted online pre-registration is now open for the bike tour. Walk tour registration is day of event only. Remembering New York City ten years after September 11th, and recognizing Connecticut First Responders’ service every day saving and protecting life on our roadways - complimentary day of event registration for Police, Fire, and EMT/Ambulance personnel in work shirt. “I invite residents and visitors alike to explore and rediscover Hartford. By touring our treasured and historic parks system, it’s easy to be in awe of the visionaries who founded our great city. It also inspires us today to continue implementing our One City, One Plan for conservation and development as Hartford becomes a greener, grander, and choice destination,” said Mayor Pedro E. Segarra. Bike Walk Connecticut's mission is to change the culture of transportation in Connecticut through advocacy and education by making bicycling and walking safe, feasible and attractive for a healthier and cleaner Connecticut. Are you a Parent? Are you Awake? I only needed to open the door a few days ago to my child's gymnasium and take one whiff of the newly polished floor to be reminded of how much work still needs to be done to create awareness, turn inaction into action and create real change when it comes to the toxic environment our children are exposed to. And while I may not be able to instantly control what school administrators put on floors, on the lunch menu, or on the school yards - I can create change to the degree I feel comfortable, have time for or feel compelled. Healthy Child, Healthy World is a stand up organization helping keep "conscious" parents like me well informed so I can make sound choices on behalf of my children. Why wait until then? Instead of taking that far away, exotic vacation, find a more local route. Consider it a twist on the typical vacation ideology. A staycation in Connecticut has plenty to offer families, friends, or a quick getaway for two. Try a local state park. There are about 40 of them located around the state and about a dozen of them provide camping areas with cabins. Camping is very inexpensive compared to staying in a hotel and usually runs anywhere in between $12 to $33 a night for in-state residents. One of the most popular state parks is Hammonesset Beach State Park. Located in Madison not far from I-95, it offers over two miles of shoreline for swimming, fishing, boating, with a boardwalk along the beach. If you have school-aged children, then you know all about Silly Bandz. These rubber bands made from silicone and die-molded are coveted by boys and girls alike. They trade them. They collect them. They fight over them. All of this much to the chagrin of teachers across the country. In fact, many schools have banned the little suckers from their classrooms. They come in an array of shapes including animals and electronic gadgets like iPods and MP3 players. And when they break? Hey, just throw them out, right? Just one more silly trend adding to our garbage pile. See an excerpt from an article in The Boston Globe below. The rubbery bands, which come in a multitude of collectible shapes — cowboy boots to monkeys to Wally the Green Monster — are so trendy that if they were a person, they’d be Justin Bieber. Silly bands meet all the requirements of a modern craze. They’ve nabbed the top-selling spots on Amazon’s toys and games category. Kids can’t stop talking about them. Parents are fighting over limited supplies, according to one manufacturer. Schools are banning them. A-list celebrities are reportedly requesting customized packs for fans. And, of course, there’s the requisite Facebook page, Twitter feed, and YouTube videos. Seen stretched out on the wrist, the bracelets — known generically as silly bands, but sold as Silly Bandz, Zanybandz, Stretchy Shapes, and Goofy Bands — don’t look that special. It’s off-wrist that the genius of the product can be appreciated. They come in such a wide variety of shapes that there may not be a human alive who couldn’t find something appealing." Did you know that one in 91 children have autism? Did you know that one in eight children have asthma? Did you know that one in six children have a learning or behavior disorder? Did you know that one in 10 children have ADHD? These are alarming statistics by anyone’s standard. They’re even more alarming when these statistics apply to your child. And for many parents, it’s an all too grim reality. No one is really sure of the root cause for autism and other illnesses like ADHD or even some severe food allergies. But what is very clear is that chronic illness in children is a nationwide epidemic. We’re not talking about a singular group of children tucked away in a remote village with no running water and scant electricity, hours from the nearest town. We’re talking about your neighbors, your friends, kids you know at school. I have three daughters, aged 9, 7, and 5. I remember when they were teeny weeny, still fascinated with dressing up as Snow White. Now, they’re in grade school. My oldest one rolls her eyes every time I try to give her a kiss goodbye. They’re growing up fast. They’re not little babies anymore. They’re big girls and getting bigger every day. Two moms from New Hartford felt the same way about their own daughters, especially when it came to their skin care. For our babies, we make an effort to buy products that are all natural without harmful chemicals. Why stop just because the little piggies got a bit older? According to an article dated September 24, 2008, the Environmental Working Group conducted studies that showed skin and cosmetic products contain hormone-laced chemicals. For young girls who experiment with products more than adults, these hormones end up in their bodies. More to the point, those hormones can contribute to diseases such as diabetes or even some cancers. That’s why Kim Grustas and Grace Petrarca teamed up to found Good For You Girls, their skin care product line geared for the nine to fifteen year olds. Between the two of them, they have six daughters. I'll be the first to admit that I'm extreme when it comes to what I feed my kids. Whole food, organic, local, vegetarian, no sugar, non-GMO...the whole nine yards. Grandparents and friends have long since given up trying to convince me that I work too hard at keeping my 5 and 4 year old children in a "bubble," but in less than a week, I'll be forced to let them venture off to (gulp) public school and POP, the bubble will go. Thanks to the film, Two Angry Moms, its group site and the example of other moms who have forged ahead to become advocates of healthy school food, I know I'm in good company. But the truth is, I'm scared. While I know nothing will improve unless a squeaky wheel garners attention, creates a plan and rolls up her sleeves to encourage action, I'm not shy to admit that I want someone else to do it. After all, why would any mother in her right mind want to be the fall guy or risk having her child labeled as the kid with the vegetarian, tree hugging mom who complains all the time? So here I go, jumping head first into school food advocacy, with the same "can't turn back now" attitude I summon when cliff diving. Wants vs. Needs: What's the Diff? About once a year I have to work hard to fight off a hankrin' (yes, I lived in Ohio for 10 years) to make a large purchase. One year it was a new house in the country, last year it was a new Mac and this year, a spankin new Prius. Much to my dismay, I'm incredibly crafty when it comes to excuses as to why I NEED something, but like Sheryl Crow once said, "the trick is wanting what you have, not having what you want." Now that I'm discovering the difference between necessity and desire and facing my somewhat tenuous financial circumstances, I must confess that my recent penchant for a hybrid is not being solely fueled by a desire to cut my personal carbon emissions. In fact, as the Editors of E Magazine point out, buying a new fuel-efficient car isn't always the greenest choice. Environmentally conscious weddings are on the rise. And for a multi-billion dollar per year industry that is great news for our environment! From organically-grown dishes, conflict free diamonds, recyclable invitations and earth-friendly party favors I can't help but ask; is green the new white? Q. What is a green wedding? A. "A green wedding is any wedding where the couple tries to decrease the impact of the event on the planet -- and there are many ways to do it! Every part of a wedding, from invitations to the favors, has eco-friendly options worth considering." Q. Is it more expensive to have a sustainable, eco-friendly wedding? A. "No! This is a myth that I am working hard to dispel. A green wedding can cost more than a conventional wedding or it can cost less (up to 60% by my estimates). It depends entirely on the choices you make. That is why I have divided each section of the book up by price. I offer low, medium and high-end choices in every category so couples can easily decide where to save and where to splurge. You never have to sacrifice style or comfort to be green." Q. What is the easiest component any wedding can incorporate to make it more sustainable? A. "Couples spend about half of their budget on food, so this is a great place to make change. Ask your caterer to create a menu with local, seasonal and organic dishes. In addition to being better for the environment, they taste amazing!" Q. There are many products on the market that claim to be "all-natural" or "organic", how can couples be sure they are choosing legitimate green products for their wedding? A. "This is a significant problem. 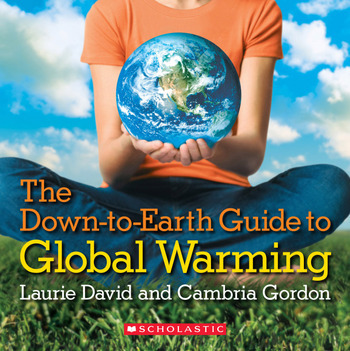 Look at the recommendations in my book ( I have a whole section on green washing) and at thegreenbrideguide.com, check Co-op America's green pages and most importantly, ask questions!" Q. What inspired you to write The Green Bride Guide and what can readers expect? A. "The short answer is that it was the resource that I wanted to have but could not find when my husband and I were planning our wedding. The Green Bride Guide has all the basic wedding information (e.g. checklists and vendor contact sheets) but also offers hundreds of eco-friendly ideas and up-to-date resources in an organized, easy-to-navigate format." What's next? The future looks green! And Kate will be contributing more green wedding ideas right here on CTGreen Scene. Check back soon! Interested in having your own green wedding? Have more questions or concerns? Ask Kate. Had any cherries or strawberries lately? Bet they don't taste half as good as they did over the summer. Chances are you didn't grab a bad bunch at the grocery store; they're just not in season. Knowing which fruits and vegetables are in season will reduce future disappointment and actually start saving you some money. 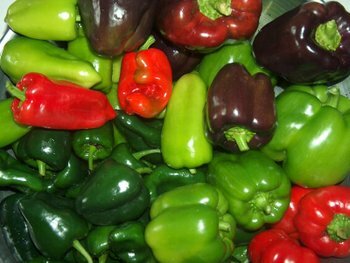 Best of all, seasonal produce is much more nutritional because it requires less chemicals, pesticides to produce. They also offer one more way to support the local economy. Who knew buying in season would taste that good! The Connecticuit Department of Agriculture has this fantastic guide that takes all the guess work out of knowing what to buy and most importantly, when. Next up? Apples, cauliflower, eggplant, lettuce, greens, pears, potatoes, herbs, carrots...the list goes on. Just because we live in New England doesn't mean we're short on variety! Local farmers markets and pick your own facilities also take the guess work out of buying seasonal produce. Ok, I agree, most of us aren't going to go pick our own fruits and vegetables once the snow comes, but that's where knowing what to buy from your local grocer comes in handy. Spending extended time somewhere else? The USDA offers an extensive list of local farmers markets and Field to Plate has plenty of links to help you find out what's in season and when across the entire country. How great is that? Halloween. It kick-starts the holidays, doesn’t it? From here, it’s a straight shot to New Year’s Day with its ubiquitous hangover and ensuing Christmas bills. But Halloween also starts the sweet treat feeding frenzy that the holidays bring every year. Gobs of candy in pumpkin-sized buckets that kids plow through in less than a week. 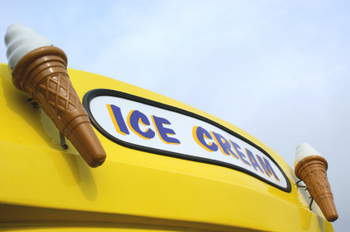 One organization is looking to fight that by offering healthier alternatives. Green Halloween, a non-profit organization based in Seattle with a local branch in Canton, Conn., seeks to promote healthy families and, subsequently, healthy communities by preventing childhood obesity. But what’s one day out of the year? Why not live a little? “The problem is it's not just one day,” said Corey Colwell-Lipson, founder of the Seattle-based company. According to a press release on their web site earlier this month, Colwell-Lipson said it wouldn’t be so bad if it were just one day out of the year. But, it’s all the special occasions we celebrate in which our choices make a difference. Every mom wants what’s best for her baby. So why not have all natural, environmentally friendly products for your little one? There are a number of them out there that promote lotions, shampoos, and even boo-boo cream. Linda Zielski, Founder and Chief Visionary Officer of Seaside Naturals in Branford, found it important to include baby products with the rest of her all natural line. She and her husband David bought the Simple.Pure.Clean. cleaning service in 2003. About a year or two later, they had launched a Simple.Pure.Baby. line of all natural ingredients with essential oils infused with herbs. Besides the slew of all natural products available on the market, a bigger issue looms on your baby’s bottom: diapers. Many parents turn to organic cotton cloth diapers. But those parents also deal with the hassle of cleaning them or using a service. And, the cloth ones are often less convenient than a disposable. That’s where the eco-diapers come in. There are a few companies that have championed the biodegradable diaper that do not contain harmful chemicals. 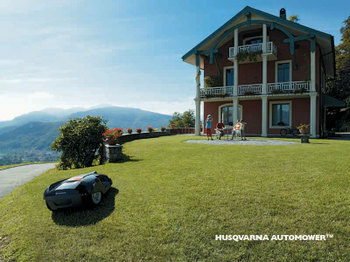 Right out of some high society sci-fi movie, this solar-powered lawn mower, made by Husqvarna, is a home owners' dream! No carbon emissions to feel guilty about, and it's powered by the sun and automatic--so you can sit back and relax as this gadget does the work for you. That's a good thing, too, since this article from the Associated Press found that: "The air in hundreds (345 to be exact) of U.S. counties is simply too dirty to breathe, the government said Wednesday, ordering a multibillion-dollar expansion of efforts to clean up smog in cities and towns nationwide." So where can you get one of these magic lawn buddies? Butler Power in CT can help! With summer officially under way, the 2008 Connecticut Farmers Market season is yielding a bumper crop of new markets around the state — with more and more people demanding locally grown products in the face of rising food prices. Rick Macsuga, marketing representative for the state Department of Agriculture, said there has been a significant increase in requests by towns and cities to offer farmers' markets. "Town involvement has definitely increased over the years," he said. "Before, we would kind of have to reach out to towns in order to hold a farmers' market. But nowadays, more towns have been reaching out to us and demanding more and more farmers' markets. "With more and more town support, it definitely makes this process a lot smoother and easier," he said. Macsuga said 21 new farmers' markets will debut this season, bringing the total statewide to "a little over 100," with 320 farmers contributing fresh fruits, vegetables, meats, dairy and other produce. However, farmers are not the only suppliers to these markets. Fishermen, bakers and florists also participate, adding variety to the markets. The draw of the farmers' market is "the fact that it is local," Macsuga said, "that the money spent here stays here. There is less of a carbon footprint and the food travels less miles in order to get here." Customers at the Fairfield Farmers Market at Greenfield Hills agreed. "I like the whole ambiance of the farmers' market," said Fairfield resident Art Beagan. Some just want to help support hometown goods. "I like the idea of buying local, homegrown products," said P.J. Calyne, of Fairfield, who was shopping with his wife, April, and two children, Abigail and Alexandra. "I like the cookies," said Abigail with a giggle. Vendors say they most enjoy the one-on-one contact when dealing with buyers of their crops. Celebrate theater, the great landscape of the Connecticut River Valley, and a very Green event! Shakespeare in the grove is an annual event that runs from June 17th through the 27th) at Middlesex Community College (100 Training Hill rd, Middletown, CT) The EcoFestival starts at 4 PM and features not only live circus performers and musical entertainment, but also over 20 green vendors selling their locally made and environmentally friendly wares and local farmers selling their fresh, organic produce! We have live headliner musicians performing at 6 PM. This goes on until around 7PM when the FREE performance of "Twelfth Night" starts. Suggested donation is 10 dollars. Feel free to bring lawn chairs and picnic blankets and food as this is an outdoor event! For more info: www.art-farm.org or email info@art-farm.org. ArtFARM is a non profit organization that believes in affordable, high quality theatre for all and a dedication to simple, environmentally sustainable living. Kids’ shoes are a quickly expanding market and companies with a green perspective are now jumping into the race with mini versions of everything from flip-flops to slippers to heeled dress shoes. While green kids’ shoes from makers like Simple, which offers organic cotton EcoSneaks with car tire soles, might seem expensive at $40 or more, they are durable enough to get passed around from sibling to sibling. “It is an investment if you’re going to do quality,” says Craig Throne, general manager of footwear at Patagonia. 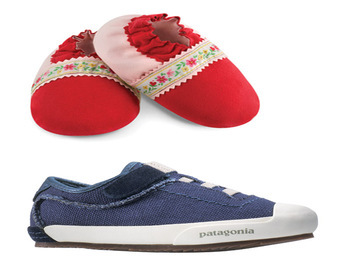 "Image Courtesy "Isabooties and Patagonia." Did you know that the electricity your dryer uses takes up about 6% of your electricity bill and that there are 88 million dryers in the world! In fact, the average American uses more energy running a clothes dryer than the average African uses all year round for their energy needs. 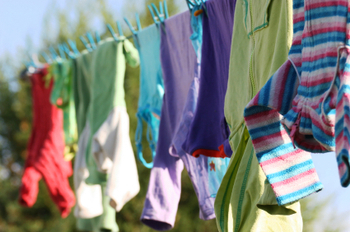 We can all save a lot of electricity by using the wind and the sun to dry our clothes instead of a machine. April 19th is “National Hanging Out” Day! Show your support by hanging an item of clothing from a pole in front of your house or simply hang your laundry out to dry on a line to show that you are willing to change little things in order to help reduce carbon emissions. Our planet needs you! If you absolutely must use your dryers, there are still things you can do to help. Lower your temperature settings and for your washer, use warm water instead of hot when possible. Make sure your washer or dryer is full before running it. Clean your dryer filter after every use. Spring is nearly here, and it's time to get the garden ready. Composting is key and here is a great resource from our fine state government. For the stuff you can't grow on your own we are lucky enough to have a plethora of local farmers here in Connecticut and some great farmer's markets to choose from. Fiddleheads in New London has a market every Saturday now, with another every Wednesday starting on March 26. CitySeed in New Haven has kept their market open monthly throughout the winter and come May it's back to a weekly event. On May 22 Billings Forge Farmer's Market will start up in Hartford and you will be able to find amazing produce and other local vendors on both Mondays and Thursdays. Fairfield Market is held every Saturday rain or shine, and often draws a few hundred people. Another cool market is the Oak Street Market in New Britain. It's urban and fun and has some of the best greens around. 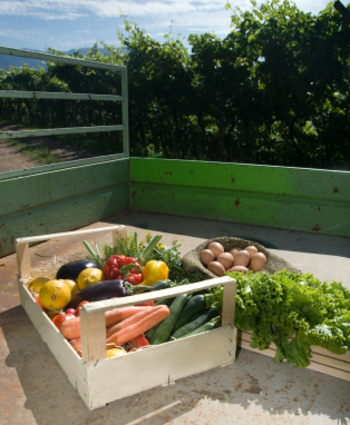 To locate the organic farmers markets near you, click here. Of course the best thing about a market is the food: amazing greens, organic eggs, still-dirty potatoes and seafood dripping with salt water, all of which I want to rush home and devour. There's more to it, though. I love that it is such a neighborhoody event. It is a great place to have random, interesting conversations, make new friends, learn a few things about what I'm eating, stroll the streets of my town, breathe the fresh air and reconnect with the community. The dinner we craft in the evening is just the bonus. We already feel great after a market day. How Green can St. Patrick’s Day Be?? You won’t need the help of wee little leprechauns to make your St. Patrick’s Day celebration green in all sense of the word. Just a little clever planning and effort will lead to a successful green event. First off, comes the invitations to your green party. Online sites like www.evite.com and www.zoji.com allow to send and keep track of your guest list. Do something clever and have everyone bring a green article of clothing that can be donated to the Salvation Army. This is a great way to get a head start on spring cleaning and to help out others. 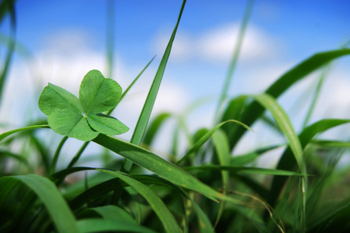 Visit your local nursery and purchase a full sheet of clovers in mini biodegradable planters. Fill one of your trays at home with them and place them in the middle of your party table as the centerpiece. Best thing is, that at the end of the party, let your friends take some home with them to plant. So with one stop you have taken care of your centerpiece and favors. Start your party off with a chilled cantaloupe melon soup. This can be made in a day or two before the party. Serve them in shot glasses as a starter or a passed appetizer. 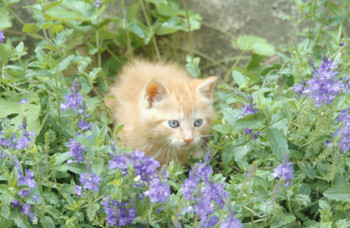 For added cuteness place them in the clover tray and give the centerpiece an extra duty. A simple Kiwi and green grape salad is a refreshing treat. While it can be hard to locate great food that is green in color, just remember to keep it green in the other sense. Last of all, for all the parents who send in treats for the St. Patty’s Day parties at school, this year send in a packet of seeds for each child. Have your own child pick out their favorite green veggies and give peas, cucumbers and lettuce packets. We can all hope the children will be interested in growing and making their yard a little greener this spring. From organic caterers to gowns purchased from consignment shops and email to replace wasteful rsvp cards, brides to be are choosing to make their magical day one that has conscious, meaning and a message. got her first request for a green wedding last summer. "The couple wanted to get married in a state park and when we started planning, one thing led to another. The bride asked if her flowers could be gathered from the park, if the invitations could be printed on recycled paper, and she asked for recommendations of consignment shops that had a nice selection of previously owned gowns," Martinson-Wenzel says. In fact, a good majority of gowns on the racks of consignment shops have never been worn. Wildflower seeds embedded in recycled paper, donations to environmental organizations and brides maids dresses that can be worn after the special day promise to be lasting trends as consumers become more conscious of the impact their purchase choices have on the planet. With spring around the corner, you'll enjoy expert tips, advise and resources for greening your events and parties from Kia Martinson-Wenzel. Check our "Parties and Special Events" category for more useful information on greening your special occasion. Dear EarthTalk: I just read an article that said air fresheners contain chemicals that can cause health problems when inhaled. Are scented candles any better? Like most air fresheners, many scented candles contain and release phthalates, potentially harmful chemicals that have been linked to the disruption of hormonal systems and other health problems in people exposed to them. 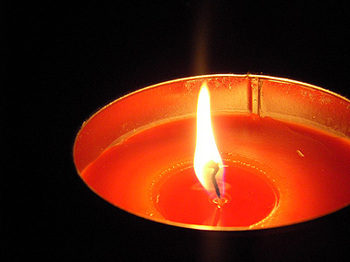 Burning candles can also emit small amounts of acetaldehyde, formaldehyde and naphthalene, organic chemicals that are also potentially harmful and that can leave nasty black soot deposits on floors and other surfaces. Hey! Who Ate the Organic Cookies? Those of you who made it to February GreenDrinks at the Westport Arts Center probably got a chance to nibble on these tasty treats, donated by Connecticut resident, Candace De Felice. Cookies by Candace LLC, a new bakery operating in New Preston, offers unique hand-decorated cookies made with fresh organic and traditional ingredients. 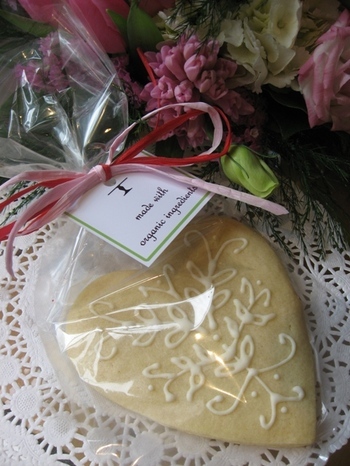 Cookies are available at gourmet shops or by special order. “We strive to make a great-tasting cookie,“ says Candace De Felice, owner of Cookies by Candace LLC. “The decoration and packaging just make it that much more special.” Educated and trained as an architect, Candace relies on her drafting experience to create intricate patterns of frosting atop hand-baked cookies. In offering green tips, I work generally on the principle that other people, like me, are imperfect and not immune to temptation. As for me, I have a problem with the lure of lush bath towels and crisp new sheets. By way of confession, at right I have posted a photo of my linen closet. 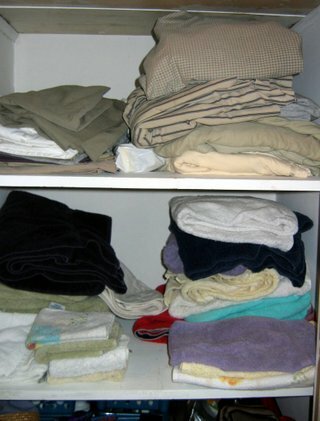 Note that it is perfectly well stocked (though not perfectly folded) with towels, hand towels and face cloths. The sheets--indicating various stages of taste, husband's bachelorhood, duvet shades and mattress sizes-- are nonetheless, intact and well-stocked. So, what's the tip? For most of us, by now it should be obvious, though I will be the first to admit, actually living this tip isn't easy. It's worth repeating though, and I will because REUSE is my favorite R: Use what you've got! Stopping ourselves from making purchases, for the sake adorning or updating our homes (or ourselves, not to mention those bothersome children and pets, OY!) isn't easy. I mean to tell you, it is downright a pain in the donkey. So here's something to puzzle yourself with when you are, like me, wandering around Crackville (aka Target), goggling at the pretty-pretty, matchy-matchy blue margarita glasses and serving platters. "How many towels does it take to screw in a compact fluorescent light bulb?" Existential? Sure. But then, it's all a personal matter of how you face the crisis: just push your Target trolley through it. Westport's energy task force has raised the bar and is working to involve members of the community is a pledge to liver greener. You can take steps toward lessoning your impact on the planet, join in by signing a pledge card, and track the progress on their interactive map. Every year, earlier and earlier, the decorations come up at the stores. Ugh. This year, on Halloween day at Target, I overheard one morose father contemplate giving out candy canes for Trick or Treat: the sales associates were stripping down the Halloween merchandise before the holiday had even started. Why? To make way for the lighted trees and green and gold wrapped Hershey's Kisses. 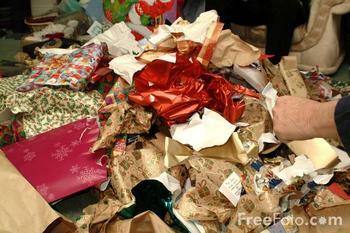 That's why I LOVE this article "12 Ways to Decommercialize Christmas" by Megan Kamerick, posted on Bankrate.com. She offers a slew of ways to take it all DOWN a notch. Number one on the list is my favorite, a "Yankee Swap" or what my Canadian family calls a "Chinese Gift Exhcange." Called by many other weird names-- White Elephant, Thieving Elves, and my personal favorite, Dirty Santa-- it's a gift exchange for adults: one gift each, a price limit, a certain amount of creativity and theft! How can you go wrong? One of the hardest things to deal with at this time of year is the pressures, most significantly, I believe, the pressure of competition. For example, one woman ahead of me in line at Christmas Tree Shops was spending $300 on wrapping paper, stockings, their stuffers, and dozens of other throw-away pieces of junk. What for? A school Christmas party. At what point does (or has?) the "holiday spirit" become infected with something else entirely? At the holidays, I feel there seems to be a sense that because we have the means, we need to somehow-- if not each other-- at the very least outdo ourselves. A better and bigger gift, party, tree than last year. The decision to embrace a greener, more holistic lifestyle definitely means fighting all sorts of demons. And for American consumers at the holidays, the meanest demon of all is that one inside, something like "competitive goodness," which, if you are looking for it, often disguises itself as "giving."